A private residence located in Urbanizacion La Bilbaina in Bilbao Spain is our featured house for today. 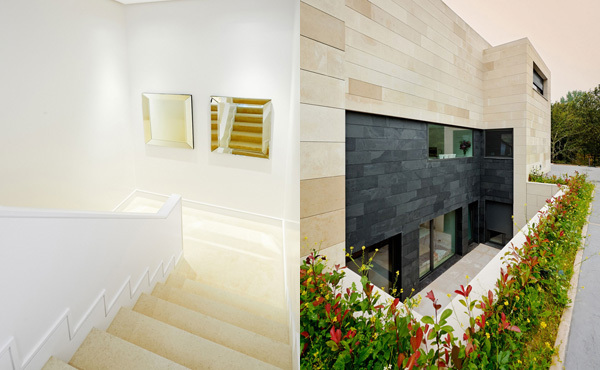 According to the designer, their client requested a contemporary type of house. What makes this different among the others simply as how the designer exerted effort to develop it in a very simple and in more detailed way. One of the client’s demands is a sculptural staircase that will connect two plants. This is considered to present a remarkable style and character as well. This house is named after its location – Casa Bilbaina. 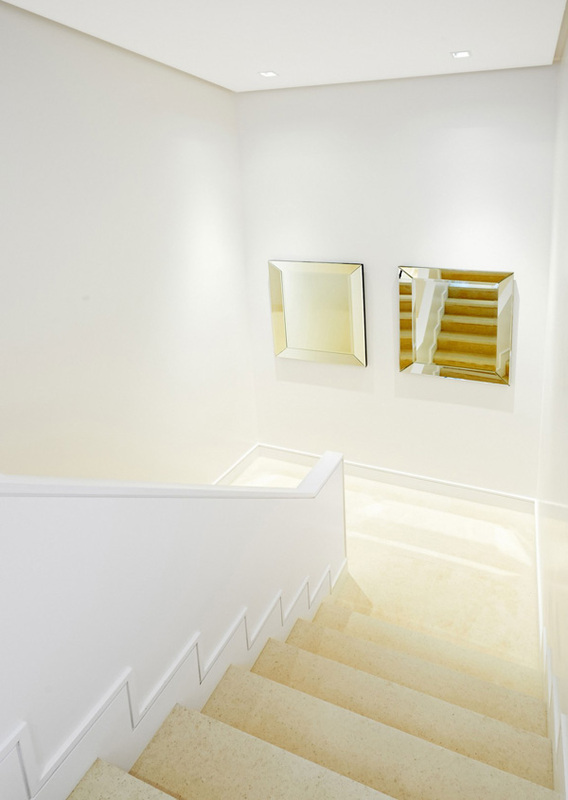 It has 7,200 square feet area which composed of two prisms set on the floor. These increase the surfaces of the façade in front of the south area. Also these volumes create a unique environment. You may see the natural beauty that most of us considered the most in designing our dream house. Scroll down the page and see the amazing areas of this house. The geometrical figure of this building is highlighted in the middle of this superb landscape. In man’s eye view, the fine lines and odd texture on the walls of this house is carefully perceived. 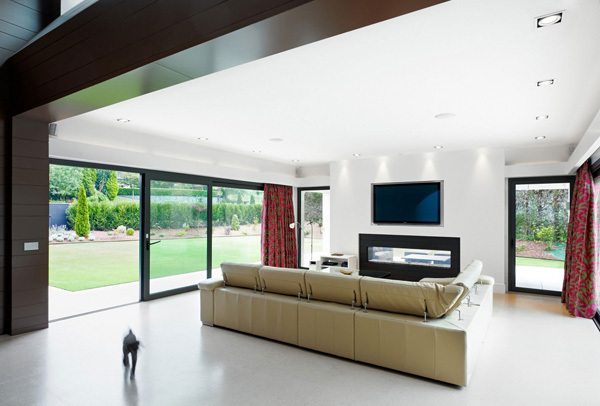 The costly and high quality furniture together with modern and trendy appliances is displayed in the living room. 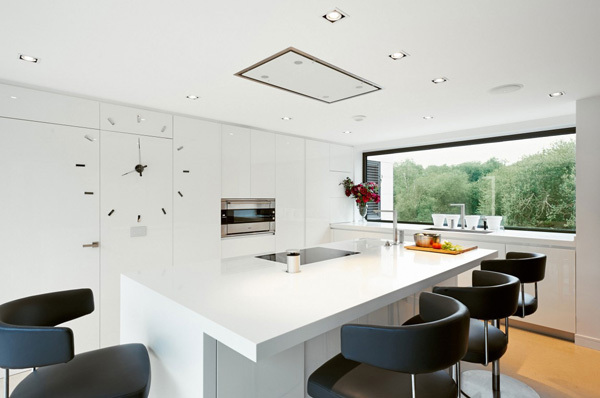 The black and white concept is applied to make this kitchen look more comfortable. 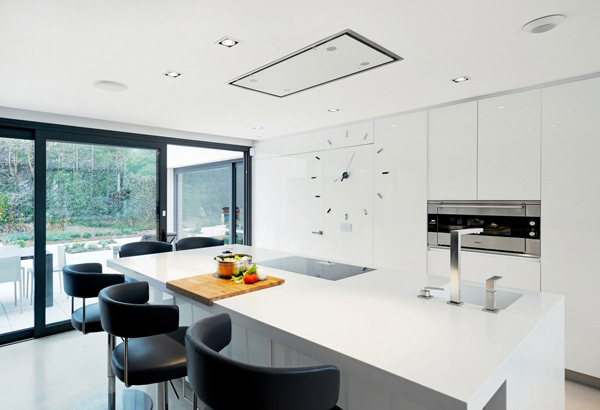 From this incredibly upgraded kitchen, the fantastic landscape can still be viewed through the glassed walls and door. 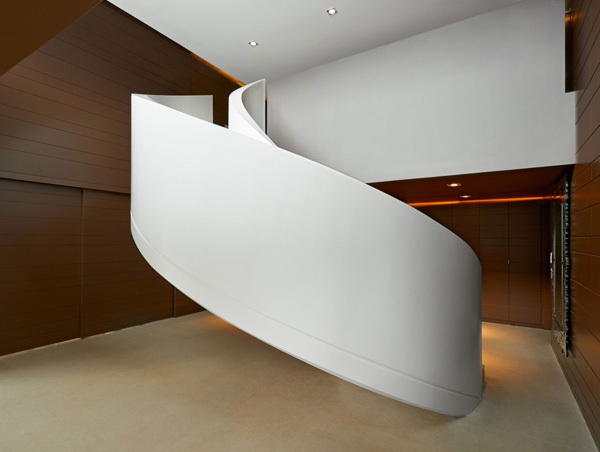 Here is the curved and winding stair that is considered to be one of the assets included in the design and style of this house. This exclusive and modern style of mirror hanged in the wall is very effective to formally speak of elegance and charm. With style and grace, this beautiful garden can surely give comfort and create a perfect zone to dwell. Looking at this part we can say that the designer is contented with the idea of mixing the white, beige, brown and green color. Plants and the brown furniture together with the accessories are well arranged in the exterior. The flowers as well as the plants in the garden that surrounded here play the most important role in providing good ambiance in this area. 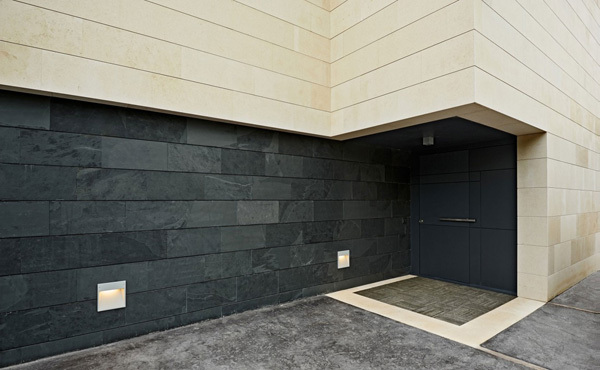 The black painted door in the entrance provides a strong connection with the marble cemented floor here. Looking at these two pictures provide a distinction from the texture down to the lines and palette. The classic sofa set here effortlessly match with the green grass in the exterior. 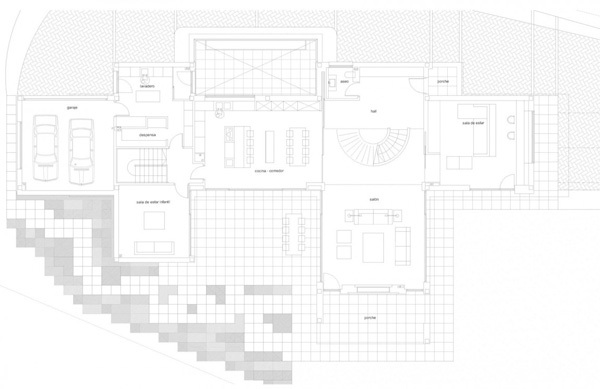 Here is the Sketch Plan of the Casa Bilbaina. When we think of redesigning our house structure, we most of the time think of innovation. Innovation is the word that is best reflected on this house. The client demanded for more innovation and sustainability in completing this house design. In fact there are solar panels which are used for hot water production. Another is a domotic system anti-intrusion. The blinds installed in the sleeping area of this house are motorized with aluminum slurs. Definitely as we explore the different spots in Casa Bilbaina, the Foraster Arquitectos surely completed the design of this private residence with wit and creativity.